be quiet! introduced the Dark Power Pro P8, a new lineup of 750W, 900W, 1000W, and 1200W power supplies with 80 Plus Silver certification. All models feature sleeved cables, are cooled by a 120mm fan, and have between four and six 12V rails. Coming in 750W, 900W, 1000W and 1200W flavors, the P8 modular units are ATX 12V v2.3 and EPS 12V v2.9 compatible, have Active PFC (0.99), an efficiency of up to 92% (80Plus Silver certified), a MTBF (mean time before failure) of up to 100,000 hours, sleeved cables, six safety mechanisms, and four to six (depending on model) 12V rails. 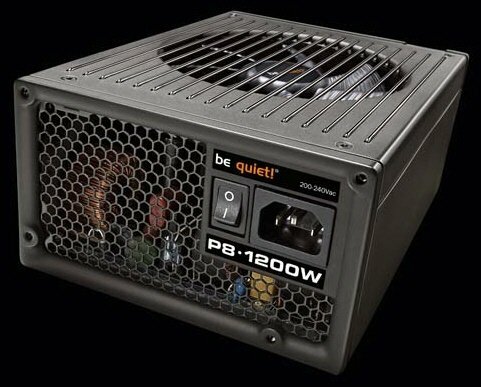 The 750W, 900W, 1000W and 1200W Dark Power Pro P8 are cooled off by a 120mm SilentWings fan, are backed by a three-year warranty and have recommended price tags of 169.90 Euro, 199.90 Euro, 219.90 Euro and 259.90 Euro, respectively.